Dedicated to hiking to Camp Muir from Paradise. 1. A primary portal for friends/family so they know exactly where I hike, and what I am carrying in case of emergency. This site contains an up-to-date route map, equipment list, and my amateur radio call sign. 2. 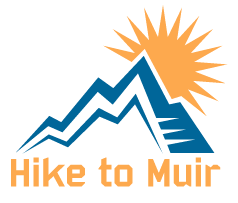 An educational/informational resource for the hike from Paradise to Camp Muir for those who might be interested in trying this hike for the first time, but aren't sure what to expect.